Summer in Seattle is usually pretty nice. Since July 1, I think we have had only two rainy days – August 2 (the day of our division picnic) and yesterday (August 29). I did go to the gym on Tuesday but I didn’t do anything out of the ordinary. The only thing that changed was the weather – from hot and dry to warm and humid. I’ve done some research, and other researchers argue that people who complain about weather changes by feeling it in their bodies is a myth. It isn’t true. Well, it is true because I’ve felt it multiple times. When the weather undergoes a dramatic shift and I haven’t acclimatized, my hip(s) will complain. I wish they’d shut up. About a month ago, or maybe two months ago, there was a car in the condo complex where we live that was on fire. I’m not sure if it was the engine or the interior or both, but it was on fire. Police and fire trucks had to come out and put it out. I found out at the Condo Board Meeting last week that this turned out to be drug related. Apparently, the owner of the car was in some sort of drug ring and had snitched on someone. Because of this, the other person went to jail. However, that guy got out of jail and as payback for the snitching, he lit the owner’s car on fire. It’s like I’m in an episode of Breaking Bad. 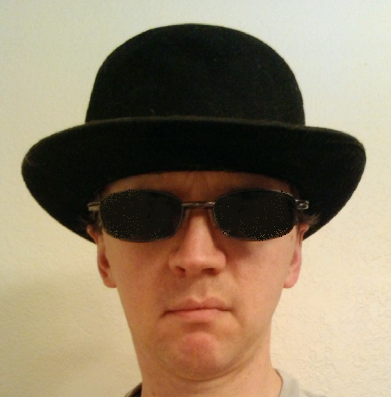 In fact, you can call me… Faraday. Ever since I got married, I have been determined not to gain weight. I know that can’t last forever, but I will put it off as long as I can. I had assumed that I had arrived at a certain weight that was now my “new normal.” I “remember” being lighter a decade ago, or even three years ago, but my current weight (as of a couple of months ago) was what I was destined to be at, at my current age of 34. I put the word “remember” in quotes because I don’t know if I actually recall being a certain weight, or if my brain is making things up and I only think I was at that weight. 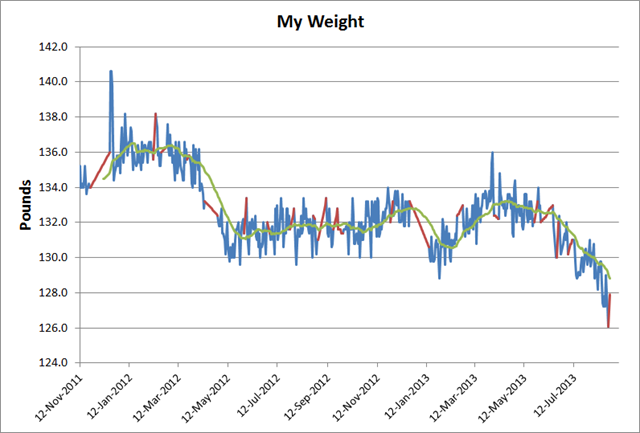 Anyhow, my weight had been in a range of +/- 2 lbs since May 2012. It dropped a bit when I went to Argentina, then snuck up again this past March. It then dropped back down. See that part at the bottom where it crashed below starting in early July? It’s not a temporary bounce, it has broken below my previous lows and stayed there for a month. Right now is the lightest for me I have ever been since I started measuring. Is is because I am hiking more? Not likely since the wife dragged me out hiking just as much last year as this year. Is it because I have changed my diet? Maybe. I eat less meat now but that was starting the end of July. My weight-loss started a bit before that. Am I losing muscle? I don’t think so. I can hike faster and further than I used to be able to. Nowadays, doing an 8-mile hike that only gains 2000 feet is pretty easy. Was my previous weight, the one that was relatively stable for a year, my real weight? If so, then what have I lost? That doesn’t sound good. I don’t want to waste away! But maybe it’s not that. Maybe I haven’t lost any bad body mass. But this possibility is even worse – my previous weight was body fat. If so, I was walking around with more of it and in denial that I had anything to lose (I told myself that for a long time). A couple of years ago I had to get rid of a bunch of clothes because they were too small. I figured “Well, as I’ve gotten older I guess I have filled out more.” And then a few months ago, I almost bought a couple more pairs of pants with a slightly larger waist size. Good thing I didn’t because now they wouldn’t fit. I’ve had to start wearing belts again on my pantaloons. Ugh. Maintaining your health and fitness is a full time job. Yesterday, I came home and started making myself something to eat. As I was looking around, I saw a bunch of cookies from Trader Joe’s. The wife told me earlier she was going there, but I didn’t realize she was going to buy cookies. I don’t normally eat many cookies, but these are Trader Joe’s pistachio cookies. They’re really good! The plastic container was sealed but I opened it up. As I was doing that I thought to myself “Wait… maybe the wife is planning to bring them to a party or something later that week.” I thought about that. Then I said to myself “No, if that were true, she would have told me about it. She always says stuff like ‘Don’t eat this <insert food item>, it’s for a party at work later on!’” Since she didn’t tell me, I assumed it was fine and had a couple. Well, the damage had been done. Better luck next time. This past weekend I had the opportunity to perform a magic effect at an annual church campout. This is an event I go to some years and they have a talent show. I perform a magic effect and I often use it to test out new material. 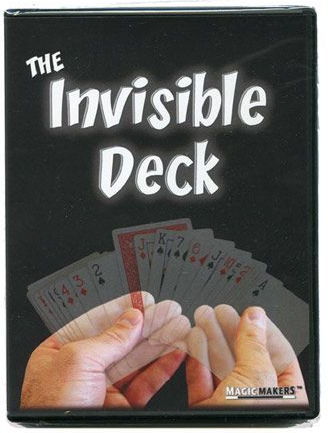 This year, I decided to perform an effect I had never done there before but had in my repertoire for years, The Invisible Deck. This is one of my best card effects, and everyone loved it. I opened up with a couple of smaller effects and finished on this one. I received a lot of compliments afterwards which I am always grateful for; it means I did a good job and people enjoyed it. One lady even said I could be doing this professionally. I don’t think that’s true (I’m not good enough) but I appreciated the thoughts. But that’s not the part I enjoyed the best. For you see, when I started the trick, I started by talking about how I’ve been reading a book by another author by the name of “Charley Erik Mintz”, and then I clarified by saying “Erik with a ‘K’”. He’s a very good writer and a very good performer. I then said that if anyone else ever becomes a magician they should definitely read his stuff as he talks about how we as performers should challenge our audience’s perception of reality. This introduction didn’t really have much to do with the trick. So why say it? What’s so significant about Charley Erik Mintz? 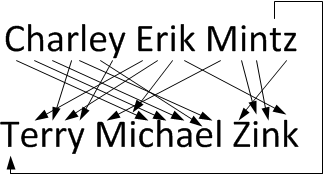 Yes, that’s right – “Charley Erik Mintz” is an anagram of “Terry Michael Zink.” Pretty clever, wouldn’t you agree? I’m boasting about being a great writer and a great magician right in plain sight (sort of)! 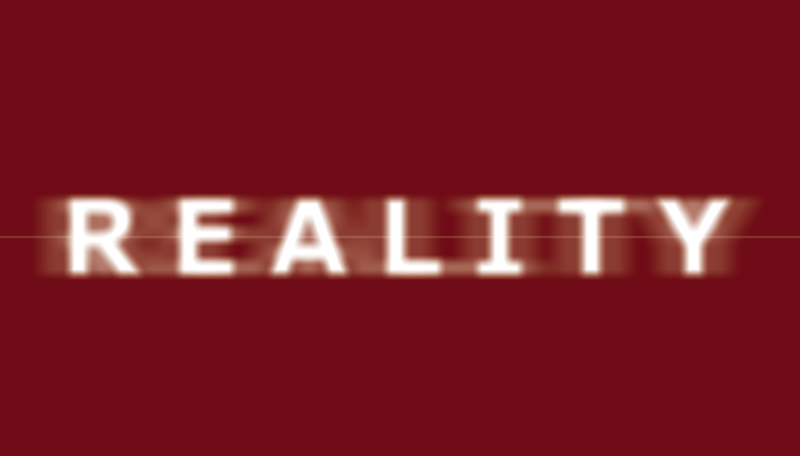 I also did it to talk a bit about my philosophy of magic and how we should blur reality. Thus, it wasn’t a throwaway line, I put it in there to amuse myself and talk about my greatness. 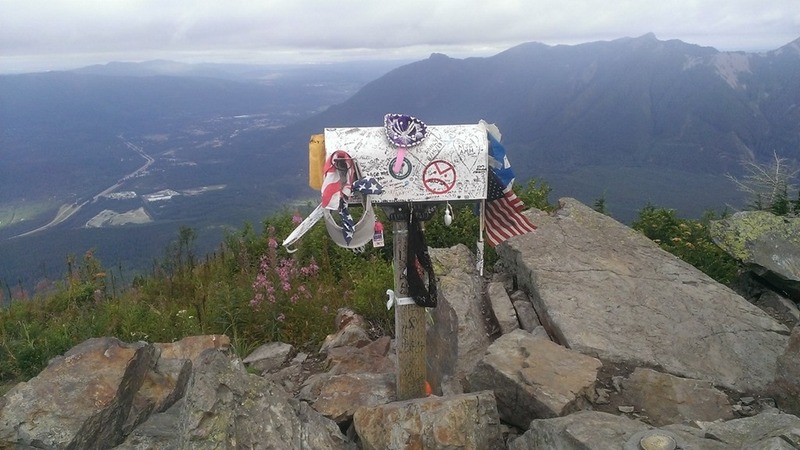 A couple of weeks ago, I climbed a mountain in the Seattle area that I had been dreading – Mailbox Peak, also known as the Murderhorn. Mailbox is a beast. 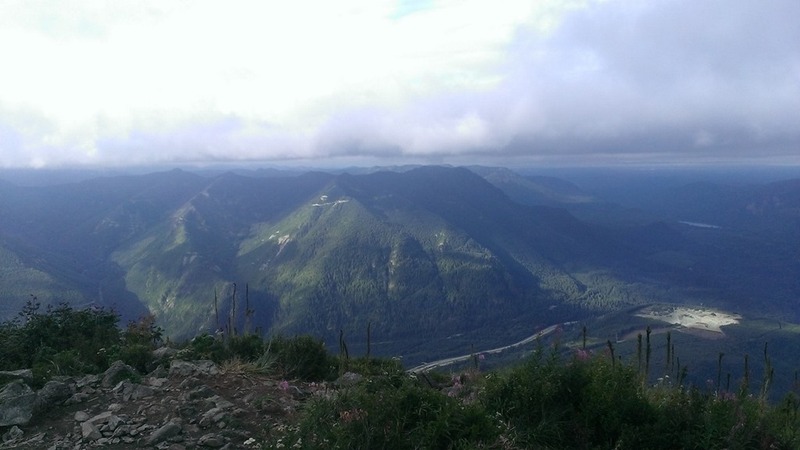 It is 3 miles, one way, but gains 4200 feet for an average climb of 1400 feet/mile. For comparison, when I am hiking I start to feel the incline at around 500 feet/mile. So, this was nearly 3x worse. What’s worse is that the first 1/2 mile of Mailbox is reasonably flat gaining only 300 feet. Moreover, it’s not actually 3 miles one way, it is 2.8 miles one-way. 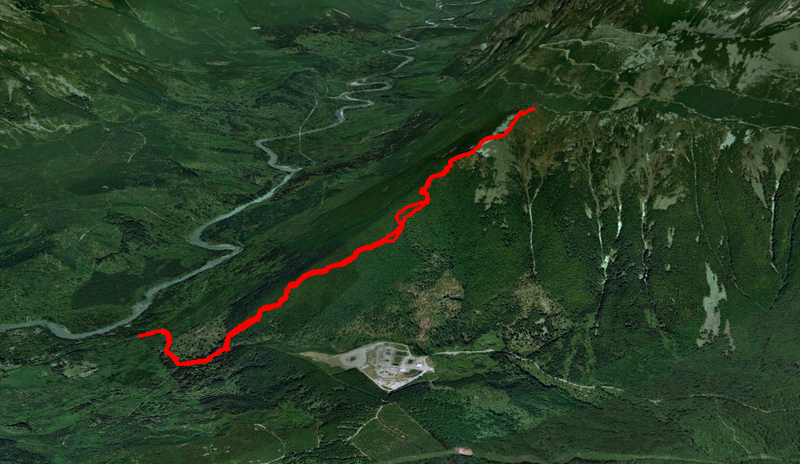 That means that this stupid hike gains an average of 1700 feet per mile at the most difficult part! This makes it the hardest hike I have ever done. I had to drop the wife off at the airport that Saturday morning at 5:30 am. I knew that if I went home after that then there is no way I would have climbed the mountain because I’d be too lazy. I would have to go straight there. So, that’s what I did. From the airport I went straight to the Murderhorn. I waited a few minutes for the sun to come up after arrival and by 6:15 am I was making my ascent. The good thing about hiking early is that (a) there is nobody else on the trail, and (b) it’s fairly cool, since hot weather makes it more difficult. I made one additional change on the Murderhorn – instead of bringing only water, I also brought along some Gatorade. That stuff is a performance-enhancing drug! It really works! On the way up, I had to stop for 3 breaks of five minutes each, and then one more for about two minutes. It was difficult work; my average speed was super slow and I had to take breaks much earlier than I normally do (I typically try to not take one before two miles). But when I finally got to the top, I felt great! I could walk around without wobbly legs and I had plenty of energy! I attributed it to the Gatorade because I don’t normally feel that good. 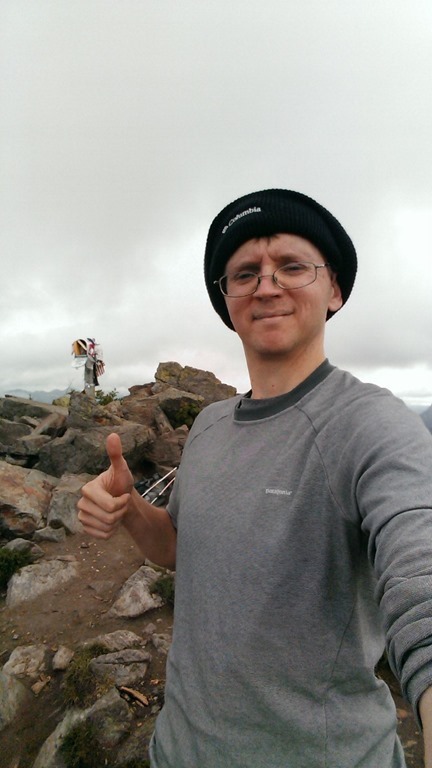 I also think I was on an adrenaline high because I climbed such a difficult trek and was the first one to the top. I relaxed a bit and walked around a bit more, feeling very proud of myself. And that’s what I did a week and a half ago. I’ve been doing some reading lately on the nature of violence. When we look at violence over the course of history, most of the time it is men committing it. This is confirmed if we look at offenders of violent crime in prison in every country, and looking at who participates in the most wars. Even when it comes to domestic violence, both men and women have roughly equal representation in doing it, but the difference is that women do it in self-defense most of the time. Why are men the more violent gender? Back in the 1990’s, after taking my sociology class I probably would have said because society reinforces it. Men are encouraged to be violent and therefore they commit more acts of it. It’s society’s fault. No. At least, not exactly. The reason men are more violent is because of genetics. Through natural selection, genes that predispose men to violence are the ones that survived to pass on their descendants. Men who reproduce more often have more descendants. The most successful ones win. This is not a moral statement either in favor of it or not in favor. But in the animal kingdom, a male lion who kills the king of the pride will also kill off all the cubs and then mate with the female lions. Obviously, he wants no competition. For men, because of this competition, they are drawn to compete for the attention of women because from an evolutionary standpoint, a woman’s reproductive capacity is a scarce resource. That is, women can only have a certain amount of children in a defined period of time. By contrast, men have relatively little work to do in the conception of children. It’s “easy” for them to reproduce. But for women, because they cannot have more kids simply by being promiscuous, it pays for them to be selective. But for men, being selective doesn’t matter that much. But because women are a scarce resource (from a male reproductive point-of-view), scarcity breeds competition. When you want something badly enough, you will fight over it. The men who defeated other men survived to pass on their genes with the women along to their descendants. The men who were pacifists died out, just like the dodo bird. But for women, it makes no sense to fight over men (most of the time). Getting access to multiple men doesn’t help them produce more children. But having a monopoly on multiple women does help men. And these genes that caused them to fight over this explains why men are more violent than women – the stakes are higher. That doesn’t excuse violence today, of course. There are many things from our ancestry that we don’t do today like infanticide, casting away the elderly, and so forth. And, thankfully, violence has been declining over time gradually. In hunter-and-gatherer societies, tribes would conduct raids on other tribes in order to steal their women. Why would they do this? For wives to produce children (violence because of competition). You can even see this in the Bible. In Numbers 31, the Israelites launch a raid on the Midianites. They burn all the towns where they lived, as well as the camps and brought back captives to Moses (10-12). Moses is angry with these officers – why have you allowed all the women to live (v15). He then instructs them to kill all the boys and all the women who have slept with a man (v17). But for every girl who has never slept with a man, they could keep for themselves (v18). This sounds an awful lot like the lion who kills his competition’s descendants. The Israelites then kill the (tainted?) women, and then use the rest of the women to presumably breed out the rest of the Midianites. That’s my theory on men are more violent than women.